This collection of short stories features girls in imaginative situations. 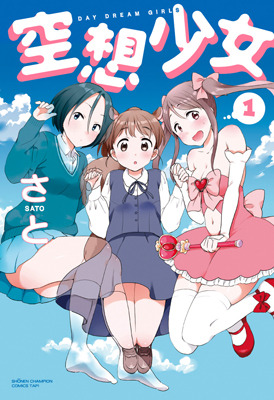 For instance, one story follows a woman as she tries to balance her responsibilities as a magic girl and a mother. In another, ninja girls are hired to work as Santa Clauses. Manda Mitsuo is a 16-year-old high school student who lives with his stepmother, after his father's death. Manda Minato, his stepmother, is only 31 years old, and was his father's former student. She also happens to be adorable, which constantly triggers Mitsuo's painful reaction to extremely cute things. At school, a very intimidating girl, Kitou-san, is also trying awkwardly to get closer to him. They and other friends at school make up the fabric of Mitsuo's unusual daily life. In the month since she transferred to a new school, Misao hasn't made any friends. Instead, she's been teased and bullied by some of the more aggressive girls in class. This all changes on the day Sae returns to school. Sae is good at everything, and everyone at school adores her--but Sae seems to want only to be friends with Misao. All the bullying stops immediately, and Misao is thrilled to be best friends with the most popular girl in school. Sadly, things really are too good to be true. Sae starts to become more and more domineering, preventing Misao from making other friends and insisting on controlling how she spends all her time. As Sae's friendship becomes more and more nightmarish, someone reaches out to Misao to try to help her break free. But is it already too late? Kuusou Shoujo - If you're a fan of slice of life with a mix of supernatural and you don't want to invest too much into a series, then you may like this manga. Nasu to Altair - If you're in the mood for some slice of life comedy with some possible romance, then you may want to check this out. 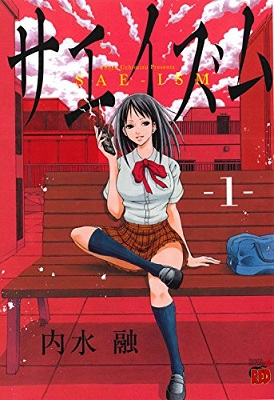 Saeism - If you're not in the mood for comedy and want something a little darker, such as the topic of bullying, then you should check out this manga instead. 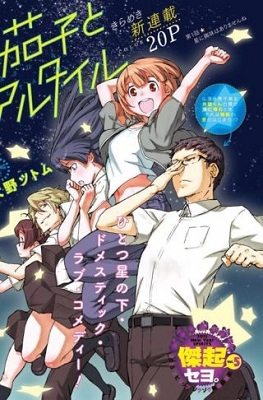 If you haven't done so already, check out the scanlations of the manga from previous shout outs which have been recently scanlated: video game fantasy manga Kono Sekai ga Game dato Ore dake ga Shitteiru (MH link), sci-fi action Full Metal Panic! Another (MH link). Copyright (c) 2007-2017 by MangaHelpers. All rights reserved. All times are GMT . The time now is 08:19.